Posted March 21st, 2018 by Aidan & filed under CPCS Training, News, Training. We promised you a video on Rob’s progress, but we bet you weren’t expecting an 80s montage. Go on… watch it. You know you want to! Posted March 21st, 2018 by Aidan & filed under CPCS Training, Crane Hire, News, Training. 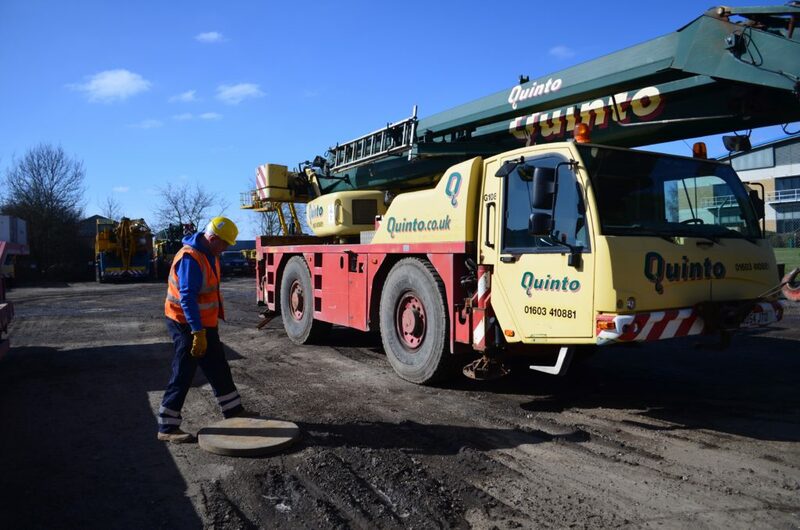 Due to a cancellation we now have a space available on our CPCS A40B Slinger Signaller course running next Monday 26th until Thursday 29th March! This place is now available at a reduced price of £650 + VAT which includes 3 days of theory and practical training, and testing fees for Thursday 29th. If you are interested call 01603 410 881 (option 4) or email traininginfo@quinto.co.uk. Posted March 19th, 2018 by Aidan & filed under Crane Hire, News, Training. Monday marked the beginning of the second week of Robs CPCS A60 Mobile Crane training. We began the morning back in the classroom recapping what we had learned over the last week. Rob has soaked up the information he has been given, and proved it with a great run through of his theory test questions. As you can see from the photo Rob is really excited about his theory questions! Once the theory was refreshed it was outside to a sunny but cold and windy yard for pre-start checks before Rob drove the crane into position for the days lifting. At this stage we like to be cruel and allowed Rob to drive into position after forgetting to raise the suspension on his machine, only to quiz him on what he had done wrong once in position. Rob quickly spotted his mistake and won’t do it again! Once setup Rob programmed his RCI after contacting nearby Norwich Airport Air Traffic Control to inform them that the boom was going up. He then practiced various lifts and protocols he will need to be able to complete carefully and safely for both his CPCS practical test this Friday, and when he gets out on site after he passes his course. We will have another update tomorrow, and have a video showcasing Robs new skills for later in the week. Will he be ready for his tests on Friday? Check back regularly to find out how he progresses. Posted March 15th, 2018 by Aidan & filed under Crane Hire, News, Training. Meet Rob Paul (right) and Trevor McCadden (left). 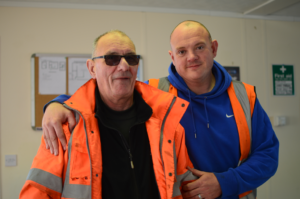 Rob joined Quinto last year as a slinger signaller, and this week started his CPCS A60 Mobile Crane training and has been learning the fine art of crane driving with the help of Trevor, one of the most experienced crane operators at Quinto Crane and Plant. Over the next week we will be checking in with Rob to see how he is progressing through the course. Rob started the week with a day’s intensive theory training, including legislation, regulations and our favourite load of BS, British Standards – 7121 – Code of Practice for the Safe use of Cranes! 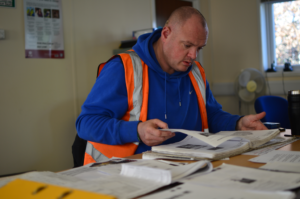 He also covered manufacturer instructions for setting up and operating the machine and here you can see Rob getting stuck into the operators manual which will help him to keep himself and others safe when on site. 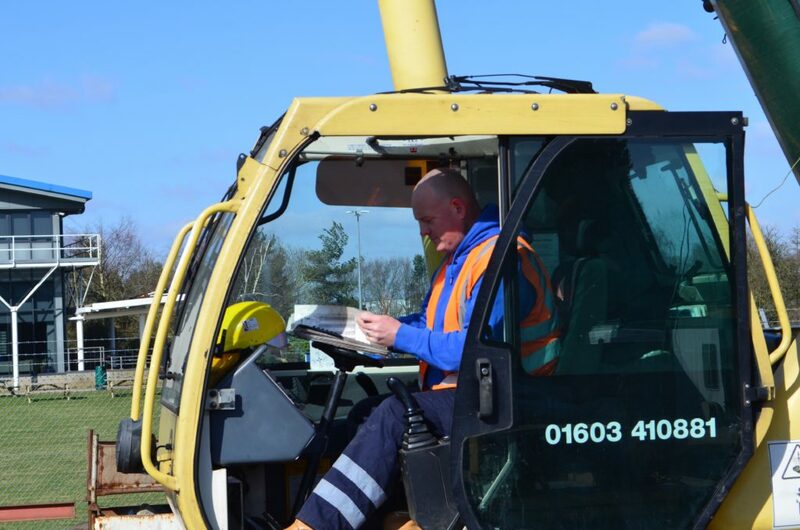 Check back to see how he gets on in the run up to his CPCS tests on Friday 23rd March. 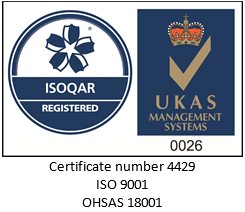 For more information about our courses you can visit the training page on our website www.quinto.co.uk/training, email us on traininginfo@quinto.co.uk or call the office on 01603 410 881. Posted March 9th, 2018 by Aidan & filed under Crane Hire, News, Training. 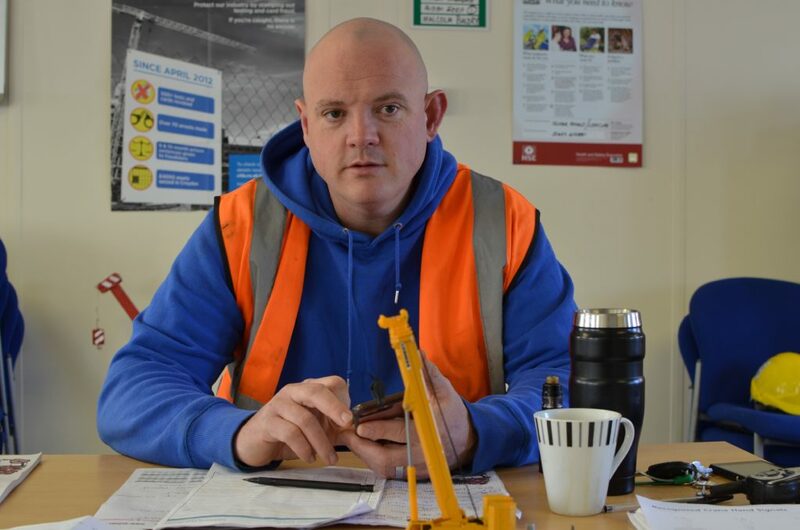 Rob Paul passes CPCS Mobile Crane test!! !